Staff Sgt. 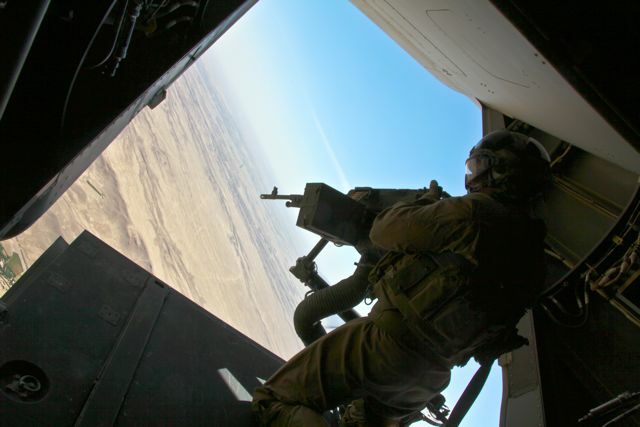 John Godwin, a Loxley, Ala., native serving as a flight equipment technician and aerial observer with Marine Medium Tiltrotor Squadron 261, 3rd Marine Aircraft Wing (Forward), mans an M240G machine gun on the tail of an MV-22 Osprey while flying missions in Afghanistan. Photo via the US Marines.